You want to break free from your struggles with a nine-to-five job. You’re sick of the horrible traffic, corporate politics, and strict company rules. Working from home seems to offer that much-needed freedom and flexibility. You’ll be your own boss—what could be more exciting than that? The hardest part, however, is the beginning. You’ll see lots of home-based jobs online, but it’s tricky to find legit ones. To help you make job-hunting easier, this comprehensive guide rounds up the best home-based jobs in the Philippines and provides must-know information before you start working remotely. At a Glance: 25 High Paying Home Based Jobs in the Philippines. Freelancing vs. Telecommuting vs. Working from Home. What Home-Based Online Jobs are Available to Filipinos? Top 25 Best Home-Based Jobs for Filipinos. 5. Human Resources (HR) Manager. 14. Social Media Manager/Social Media Marketing Specialist. 15. Content Editor / Proofreader. 18. Customer Support/Technical Support Representative. 21. Online English Teacher/ESL Tutor. Where to Find Legitimate Home-Based Jobs in the Philippines? 3. Online Remote Job Marketplaces. a. Job Search Websites for All Types of Work-from-Home Jobs. b. Online Job Portals for Home-Based Writers. c. Online Job Portals for Home-Based Virtual Assistants. d. Online Job Portals for Home-Based English Teachers. e. Online Job Portals for Home-Based Designers. How to Start Working from Home Online. 3. Get the tools and equipment you need. 4. Set up accounts for receiving payments. 6. Build your online portfolio. 7. Create accounts on online job portals. 8. Search for home-based jobs. 9. Submit your job applications. 10. Review the contract before signing it. 1. I’m a college student/fresh graduate/undergraduate/stay-at-home mom. Can I get a home-based job without experience? How? 2. How do I know if a job posting is a scam? 3. Any disadvantages I should know before starting a home-based job? 4. What qualities do I need to become a successful remote worker? A home-based job is a catch-all term for any work done outside the traditional office—at home, cafes, co-working spaces, or anywhere with an internet connection. It’s also called a work-from-home job, remote job, or virtual job. Most home-based workers in the Philippines take an independent contractor or consultant role. As non-employees of the company they’re working for, they have to pay taxes and government contributions on their own. They also aren’t entitled to government-mandated employee benefits such as 13th-month pay and holiday pay. 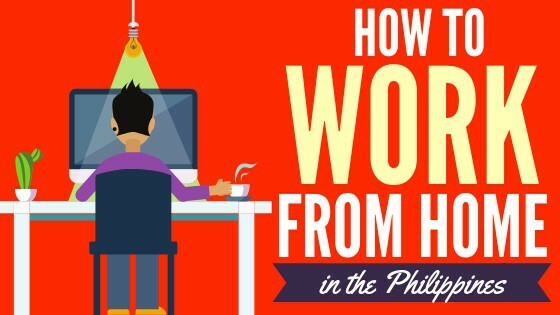 Home-based jobs in the Philippines come in three types: freelancing, telecommuting, and working from home. They’re often interchanged, but they differ from each other. Know their differences to decide which setup will work best for you. Freelancing involves taking project-based jobs completed within a specific period, ranging from less than a month to six months per project. This work arrangement is the most flexible because freelancers aren’t tied to a long-term contract. They can choose to work any time they’re available. Thus, freelancing suits people who want to make money on top of running a business or having an office job. Telecommuting offers the best of both worlds for employees who want to work from home yet don’t want to quit their day job. Several companies like Meralco, Aboitiz, and Metro Pacific Investments Corp. implement telecommuting programs for their employees. Hundreds of other employers also allow their employees to telecommute at least one day per week. Soon, telecommuting will be more of a norm than an exception in the Philippines, as the Telecommuting Act of 2017 or work-from-home bill is just awaiting President Rodrigo Duterte’s approval to become a law. Like freelancers, people who work from home offer their services as independent contractors or consultants. The biggest difference is that working from home involves part-time or full-time instead of project-based jobs. Job contracts are also longer, with some remote workers rendering their services on a permanent basis. This setup is ideal for those who want to become self-employed and to fully enjoy the perks of working from home. They earn regular income as opposed to freelancers who receive payments per completed project. You’ll never run out of work-from-home opportunities in the Philippines. Wondering what kinds of online jobs you can do from home? Here are the industries that hire remote workers and the typical job openings for each. 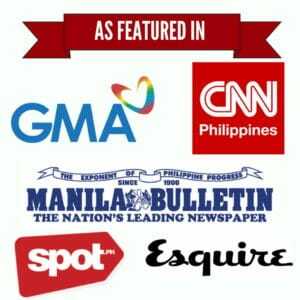 Looking for legitimate online jobs at home in the Philippines? Here’s a list of the best home-based jobs based on pay and demand, most of which are in the fields of IT, marketing, and admin support. Required skills: Web development, software development, computer programming, analytical and problem-solving skills, etc. IT and computer-related jobs are among the highest-paying and most in-demand work-from-home jobs. Companies abroad are willing to pay as much as $3,000 monthly for computer software development services. If you’re a software engineer, you can work from the comfort of your own home while earning big bucks. Required skills: A good eye for design, UX, design software (Photoshop, Sketch, etc. ), HMTL, CSS, etc. Filipino designers are very much in demand nowadays, as big and small businesses all over the world need people to design and manage the interface of their websites, blogs, and online stores. Because of its high-level technical skill requirements, web development is one of the home-based jobs that pay premium rates, even for beginners. Required skills: Cross-platform app development (for iOS, Android, etc. ), mobile UI, programming languages, QA, etc. Home-based app developers have a lucrative career, earning an average of $1,000 monthly creating and testing mobile apps for international companies. Required skills: Human resources management, recruitment, onboarding, employee relations, etc. Growing businesses abroad outsource their HR processes to the Philippines. They hire HR managers who can take care of their recruitment and hiring needs. This home-based job requires a Psychology or Human Resources Management degree and at least two years of experience. Required skills: Bookkeeping, accounting software (QuickBooks, Xero, etc. ), payroll management, taxation, invoicing, advanced Excel skills, etc. Certified public accountants (CPAs) make money online on a part-time or full-time basis for overseas clients. This online job pays well at Php250-Php600+ per hour on average. Demand for virtual bookkeepers in the Philippines is also high, so if you have such a skill, you can definitely work from home. Required skills: Excellent command of English, sales, lead generation, etc. Can you speak English fluently? Have call center experience? If so, an online telemarketing job suits you. Companies in the U.S., Australia, and other countries are looking for telemarketers who can make outbound calls to set appointments, generate leads, close sales, request donations for charities, or explain products to potential customers. They pay huge commissions and bonuses for every sale or confirmed appointment. Required skills: Fluency in a foreign language and strong English communication skills. If you’re well-versed in a foreign language, you can earn online with that skill. International clients need remote workers who can translate emails, videos, websites, or articles into English, Chinese, Japanese, Spanish, or French. Required skills: Coding, analytical thinking, a keen eye for detail, etc. Computer programmers are among the highest-paid home-based professionals in the Philippines, with the more experienced and senior-level guys making over Php100,000 monthly. Sounds much? You probably haven’t heard about a programmer from Cavite who earned Php625,000 month. Required skills: Fast typing skills, advanced data entry, English communication skills, social media and email management, project management, etc. Becoming a virtual assistant or VA is an easy way to start a home-based job in the Philippines. Filipino VAs are sought-after because they’re known for being reliable and efficient workers. Also, unlike most online jobs on this list, virtual assistance jobs don’t require technical skills and a college degree. You can be a VA even as a student or a stay-at-home mom. This home-based job also pays well at a monthly average of Php15,000 to Php25,000. Executive assistants to CEOs even earn more than Php50,000 monthly. Required skills: Keyword research, linkbuilding, website analysis and optimization, competitor analysis, etc. Home-based SEO jobs are popular these days, as businesses here and abroad need to boost their websites’ Google rankings. Experienced SEO professionals—especially those with additional skills such as copywriting and PPC marketing—can earn as much as Php100,000 monthly. Required skills: Google AdWords and social media ads account management, math proficiency, analytical thinking, English communication skills, etc. Remote PPC marketing jobs require at least a year of experience in managing online paid advertising accounts, as well as Google AdWords Certification and Google Analytics Qualification. Because of the job’s technical nature, PPC specialists are among the highest-paid work-from-home marketing professionals in the Philippines. Required skills: Product listing management on Amazon, eBay, Shopify, and other e-commerce platforms; PPC; SEO; writing; social media marketing, etc. Experienced in managing e-commerce websites or online shops? Earn money at home as an e-commerce specialist for online businesses that need to improve their product listings and increase sales. Required skills: Online community moderation, social media monitoring, Facebook ads, social media management tools (Hootsuite, Google Analytics, etc. ), email marketing, writing, etc. This home-based digital marketing job doesn’t require much experience and technical skills, but having some will give you an advantage in terms of pay. Required skills: Excellent command of English, basic SEO, strong attention to details, etc. Content editing and proofreading are specialized skills that can earn you good money working from home. Aside from editing, content editors are also tasked to manage a team of writers and plan content for blogs or online magazines. Required skills: Video editing software (Adobe Premiere Pro, Adobe After Effects, etc. ), creativity, strong attention to detail, etc. To work from home as a video editor, you need at least two years of experience in online video editing and the ability to produce output fast. You also have to invest in equipment like a high-speed internet and computer with advanced specs (a processor of i3 and up, at least 8GB memory, Windows 7 and up, etc.). Required skills: Excellent command of English and basic SEO. Home-based writing jobs, particularly web content and SEO writing, are in-demand in the Philippines nowadays. Newbies can easily start working from home even with little experience, as long as they can write well in English. Experienced and expert-level writers get paid more than Php50,000 a month. Having a smart strategy also pays off, like this writer who earns Php150,000 online. Required skills: Good English communication skills, customer service, phone support, email support, live chat, etc. The Philippines is the world’s top call center country, so plenty of home-based job opportunities await Filipino customer service representatives. Been working as a call center agent in an office for a long time? You might want to shift to a home-based career in the same industry. The pay is more or less the same, and you get to spend quality time with your family. Required skills: Cold calling, data mining, appointment setting, research skills, etc. Want to make money online at home but no experience? Consider starting a home-based job as a lead generation specialist. The job entails finding potential customers for clients. You can easily learn the necessary skills for generating leads as you go along. Required skills: Typography, multimedia design, logo design, web design, graphic design software (Photoshop, InDesign, Illustrator, etc. ), image editing, creativity, etc. As a graphic artist, you can make money online designing logos, brochures, flyers, shirts, mugs, and other materials that companies use for their marketing campaigns. Required skill: Excellent command of English. Filipinos who speak English fluently, especially with American accent and call center experience, can easily qualify as English as Second Language (ESL) tutors to Korean, Japanese, or Chinese students. Typically, online English teachers earn Php80 to Php200+ per hour, making it a profitable home-based job if you go full-time. Required skills: SEO, PPC, social media marketing, copywriting, analytical thinking, creativity, etc. This home-based digital marketing job involves overseeing, monitoring, and improving a company’s online marketing strategy. Most clients require a minimum of two-year experience in digital marketing and social media management. Required skills: Fast and accurate typing skills, good command of the language transcribed, MS Word, MS Excel, etc. Remote transcription jobs in the medical, legal, engineering, and other fields are available to Filipinos who want to work from home but without experience and specialization. As long as you can type fast and accurately, you can make money transcribing audio or video files into written form. Required skills: Writing skills and knowledge in your niche. Blogging involves writing blog posts for clients or your own blog. Blogging as an online influencer can be a lucrative job. Clients are willing to pay big bucks for a single post. If you’ll build your own blog, you can monetize it in different ways: advertisements, sponsored posts, selling stuff (ebook, affiliate products, etc.). You can earn passive income on Google AdSense up to Php20,000+ per month. Having banner ads on your blog also brings in a lot of money every month, ranging from a few thousand pesos up to Php300,000—if your blog hits more than a million page views monthly. Required skills: Fast and accurate typing skills, MS Office, basic computer skills, etc. Data entry or typing jobs may not be as high paying as other home-based jobs in the Philippines, but they’re still a good source of income for newbies. Filipinos usually get home-based jobs through referrals, online communities, and online job marketplaces. Let’s explore each method. The best way to land a home-based job is getting referrals from family, friends and former colleagues and clients. You can get direct feedback on job opportunities they’re recommending to you, and you’re sure they’re referring you to a legitimate client. Companies and agencies, mostly startups, post home-based job ads on relevant Facebook groups and forums like Reddit. While some of them may be legitimate opportunities, beware of job postings that look suspicious or offer incredibly high or low rates. Online job portals make job search easy. Simply sign up for an online account to start looking for home-based jobs that match your skills and experience. LinkedIn, Upwork, and Freelancer.com are among the popular online job marketplaces for Filipinos. But far more choices are available. If you’re anxious about finding a legit work-from-home job online, here’s a list of the best online job portals for Filipinos. Is this your first time to search for a virtual job? To give you an idea, here’s a walk-through of the typical steps to start a home-based job in the Philippines. An emergency fund worth six months of your living expenses. Health card and life insurance plans. Pag-IBIG, PhilHealth, and SSS membership registration (or update to voluntary member) and contribution payments. Never start getting home-based jobs or projects without deciding how much to charge for your work on an hourly, monthly, or per project basis. To find the best prices for your service, ask people you know with the same home-based job and browse the rates posted on various online job portals. Consider also your skill level, qualifications, and experience when computing your rates. For most home-based jobs, a working laptop, a smartphone, and a DSL or fiber internet connection are enough to start working from home. However, certain online jobs require more than that. Designers, video editors, and developers should invest in a laptop with premium specs and software subscriptions. Meanwhile, a headset is a must for online teachers, virtual assistants, and call center representatives. PayPal is the standard payment method for remote workers worldwide. If you’ll have an overseas client, set up your own PayPal account. Other payment apps you can use to receive your salary include Payoneer, GCash, PayMaya, and Coins.ph. Local clients typically pay home-based workers via direct bank transfer. It’s best to open a savings account with BDO, BPI, and Metrobank, as these are the preferred banks of most clients in the Philippines. Some clients do away with the interview process, so having a resume that stands out is the key to getting hired. Highlight your skills and accomplishments relevant to the home-based job you’re applying for. Some Filipinos skip this step and get clients anyway. Nevertheless, a blog or website that showcases one’s best works is crucial to attracting clients, especially for web designers and writers. Start building your portfolio website by getting a domain name, web hosting service, and website builder. Online job marketplaces such as Upwork and RareJob require an account registration, which involves filling out online forms, taking tests, and uploading your photo and sample works. You may also be asked to upload your ID and video or audio recording for verification. Now you’re ready to start hunting for remote jobs! Online job portals are fairly easy to use, so you won’t have a hard time finding prospects. To save time, use the job listing site’s search filters to narrow down your search to a specific job category, skill, or employment type (full-time, part-time, or freelance). Also, tell your family, friends, and former officemates that you’re looking for work-from-home opportunities, so they can refer you when one comes up. Create a shortlist of job postings you’re considering. Some job portals have a “Save Job” feature that allows bookmarking certain job postings and coming back to them later to apply. Don’t forget to attach your resume, sample works, and cover letter properly. Once interested clients respond, they’ll ask you to go through online exams and interviews, usually via Skype. If your online job application is successful, the client will likely send you a contract that states the terms and conditions of your engagement with the company. Take the time to review the document thoroughly before you sign and send it back. Pay close attention to the compensation, payment terms, scope of work, deliverables, and contract validity. a. Consider turning your current office job into a telecommuting position. No need to spend time and effort in job hunting. You can still enjoy your company perks and benefits while working from home. Check with your boss or HR department if the company allows telecommuting. b. Grow your professional network. Career-wise, it’s not what you know, but who you know. Attend seminars and conferences in your industry to connect with potential clients and fellow remote workers. c. Build your personal brand on LinkedIn. Recruiters, CEOs, and business owners in the Philippines and abroad look for remote workers on this professional networking site. Building a strong presence on LinkedIn will raise your chance of getting noticed by employers. d. Create a strong profile on online job portals. Especially if you’re in a competitive field like writing and virtual assistance, you need an online profile that gets you noticed. Focus on your greatest skills and relevant experience. Upload a professional-looking photo—not a selfie! e. Apply for online jobs within your field of expertise and experience. This improves your odds of getting hired, as being skilled and experienced in a certain field means you don’t need to be trained and supervised extensively. f. Be wary of home-based job postings on Facebook. Helpful as joining Facebook groups may be, scammers and clients that pay very low rates exist on this social network. When you come across a tempting job ad, research about the company and the job poster first. g. Check online reviews about the company/client. According to a recent study, 58% of freelancers in the Philippines and other countries have experienced not getting paid for their job done online. Avoid being part of the statistics by doing your own research. Some job search sites allow remote jobseekers to verify if a job posting is real. Upwork users can view feedback from other freelancers about a client. Onlinejobs.ph’s Employer Search feature enables verifying if a client is legitimate or not. Even if online job portals verify clients and screen out fake job postings, you can’t be too complacent and trusting. Look up companies on Google, Facebook, and LinkedIn to check feedback from past workers. h. Understand the client’s job requirements. Many remote workers get disappointed after getting hired just because their expectations aren’t met. Make sure to understand the job description and requirements before you hit the “Apply Now” button. i. Write a killer cover letter. Aside from the resume, your cover letter makes all the difference in your remote job application. Avoid sending out a template to all potential clients. Customize your cover letter for each company you’re applying to, highlighting your qualifications and skills that match what they’re looking for. Don’t forget to proofread it well! j. Ace your online job interviews. Dress professionally, be confident and punctual, and smile! How to apply for a work from home job here in the philippines? I want extra income for financialy. My passion is teaching but I finished by Bachelor Degree in Entrepreneurship which is business. Since I graduated in college I decided to pursue my Master’s Degree in Business Management and I need to support myself financially and having an extra income to help my family. I like to join here in the reason that this is the most applicable job for me to balance my studies in Master Degree while working here at home. I really hope that I can do work here not just to earn money but to share my knowledge and experiences and to develop myself and my learning through work experience here. Hi,Sir! Im a Registered Nurse in the Philippines and I am interested in transcriptionist job or data entry as part time job at home.. Kindly send me details or where to apply. I would like to know what is the name of the online site which offers home based job being featured on the article. Why is there no response to my application? We are not affiliated with any of the job sites listed here. If you have issues regarding you application, please contact them directly. Interested in Virtual Assistant and Data Entry Specialist. Working experience as admin assistant for 15 years. Can assist you well. Hope to pass on your qualification. hi good after noon ahm in designing job it is required to have an experienced?or as long as i can design, can i join this job? There are employers who are willing to hire inexperienced candidates albeit with less pay. You just needto be persistent. Good luck! Can you give to me the name of the site which offers home based jobs since I am one of those looking for part time jobs. It’s actually in the article. I’m interested Virtual Assistant, Transcriptionist, Data Entry Specialist. I have fast typing skill, advanced data entry, English communication skills, social media and email management, good command of the language transcribed, MS Word, MS Excel, basic computer skills. I want to apply to support my family through financially and my studies. I’m a currently a student at senior high school. I’m an ICT student from our school. I hope I can get a job here! thank you!